THE royal commission into youth justice has referred several matters to police for criminal investigation. But it's staying tightlipped on who those individuals are. According to the commission's long awaited final report, which was released this morning, the referrals include potential criminal conduct by guards, harassment of commission witnesses and the abuse of children in out of home and residential care. The commision also found that the age of criminal responsibility should be increased to 12 and the notorious Don Dale Youth Justice Centre shut. The final report was tabled in Canberra this morning and provides a road map to improving the Territory's broken youth justice system. Among the recommendations include a direction to establish a children's court and create a new early intervention program. The commission has found the Territory detention centre "failed to comply with basic binding human rights standards" in its treatment of children. 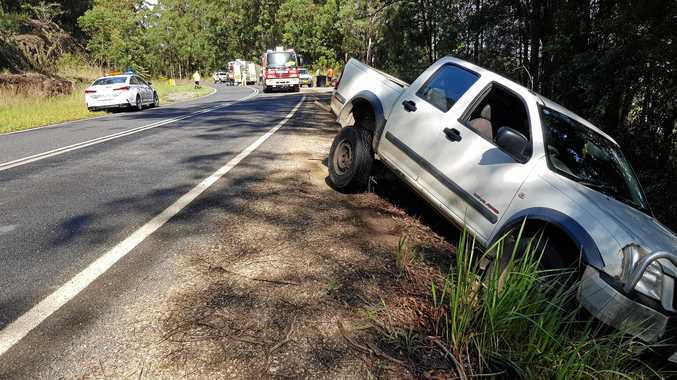 In a statement, Commissioners Margaret White and Mick Gooda said the system had failed. "The time for tinkering around the edges and ignoring the conclusions of the myriad of inquiries that have already been conducted must come to an end," they said. "Only fundamental change and decisive action will break the seemingly inevitable cycle we have found of many children in care continuing to progress into the youth justice system and detention. "Perpetuating a failed system that hardens young people, does not reduce reoffending and fails to rehabilitate young lives and set them on a new course, is a step backwards. "The failures we have identified have cost children and families greatly, they have not made communities safer and they are shocking." It's not yet clear who will foot the bill to pay for the recommendations. Upgraded cells and windows in the female cell block at the Don Dale Youth Detention Centre that have been made since the start of the royal commission. This week, Chief Minister Michael Gunner said he wouldn't sign a "blank cheque" to fulfil the recommendations, though Labor has already committed to replacing the notorious Don Dale Youth Detention Centre. The Territory is hoping the Federal Government will stump up cash to help cover the cost of the big ticket infrastructure items. The $54 million inquiry's final report has been delayed three times, with lawyers and public servants struggling to deal with the massive volume of work. The commission was called by Prime Minister Malcolm Turnbull last year sparked after shocking footage of boys being shackled and spithooded was aired on the ABC in July. Commissioners Margaret White and Mick Gooda are expected to speak alongside Chief Minister Michael Gunner and CLP Senator Nigel Scullion at a reception in Darwin this morning. 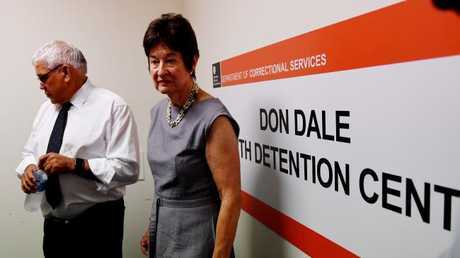 ■ Close Don Dale Youth Detention Centre and High Security Unit. Raise the age of criminal responsibility to 12 and only allow children under 14 years to be detained for serious crimes. ■ Develop a 10 year Generational Strategy for Families and Children to address child protection and prevention of harm to children. Establish a network of Family Support Centres to provide place-based services to families across the Northern Territory. ■ Develop a new model of bail and secure detention accommodation.